We simply couldn’t succeed as a nonprofit helping low income people without the support of our many volunteers. In addition to our sincere thanks, you can earn the following benefits. Volunteers who work at least 10 hours in a month can make special orders through our wholesaler at cost plus 20% (plus tax). Help at three kids bike work parties (during our spring or fall seasons) and earn $20 credit to spend on anything at the shop. Must sign in and help at least 1.5 hours per event. 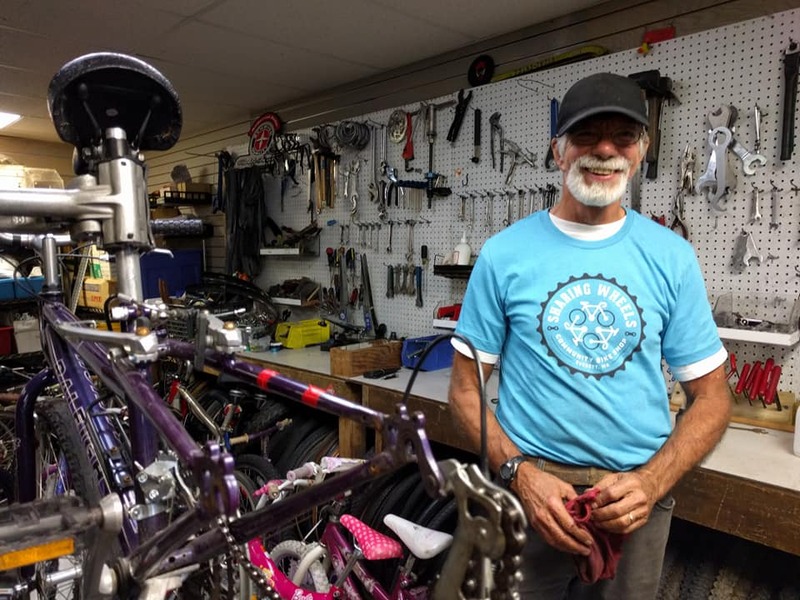 Super volunteers – those folks who volunteer on a schedule and keep coming back – can earn a Sharing Wheels t-shirt and ultimately a customized shop apron. Cool, huh?